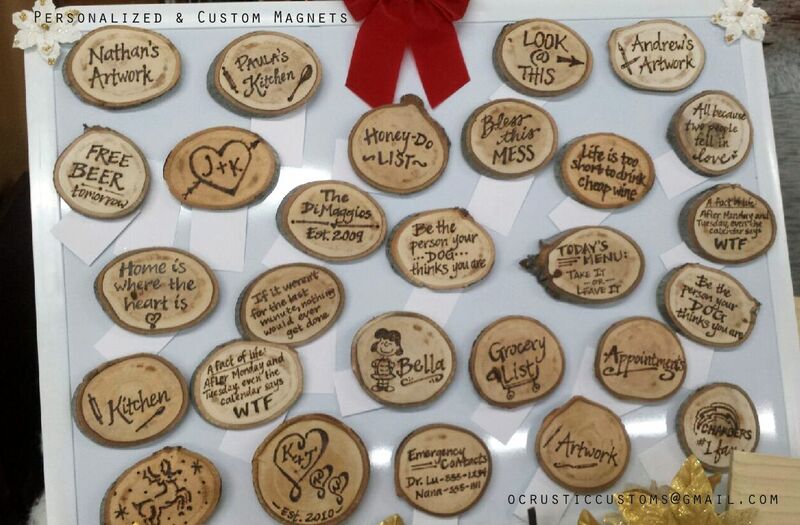 Personalized wood-burning, 100% handmade, on wood ornaments and magnets by Rustic Customs! 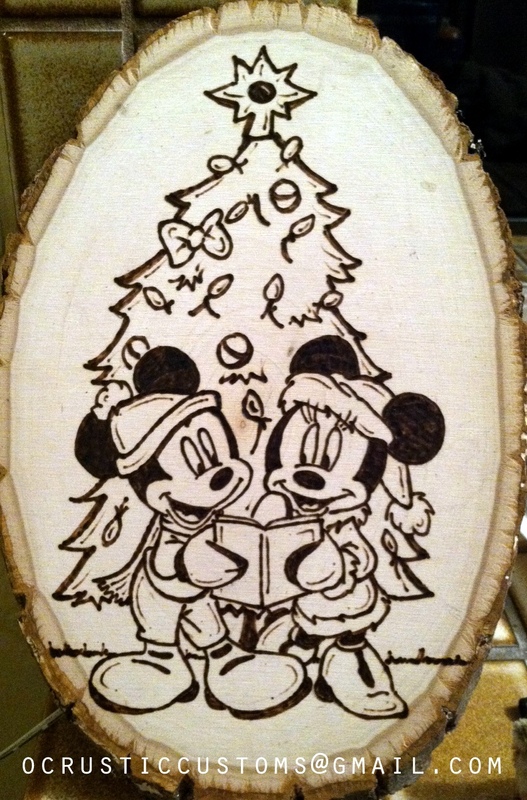 Also available are Christmas-themed plaques featuring your favorite characters and more! 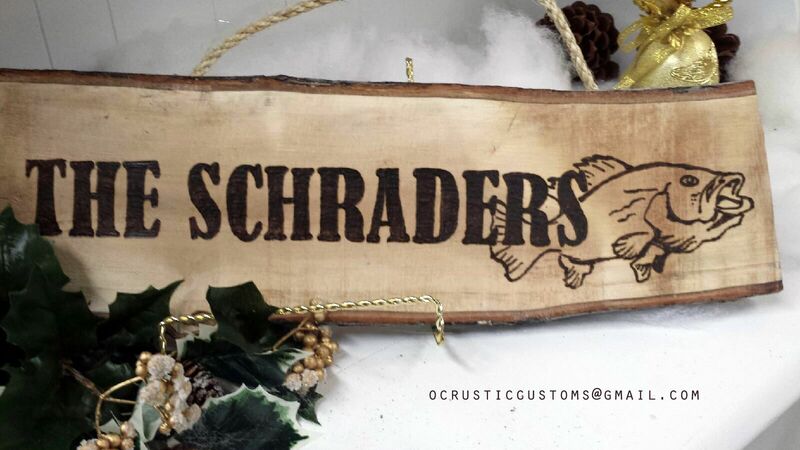 All products can be personalized while you wait! Pictures do not do these beauties justice, come check them out for yourself. 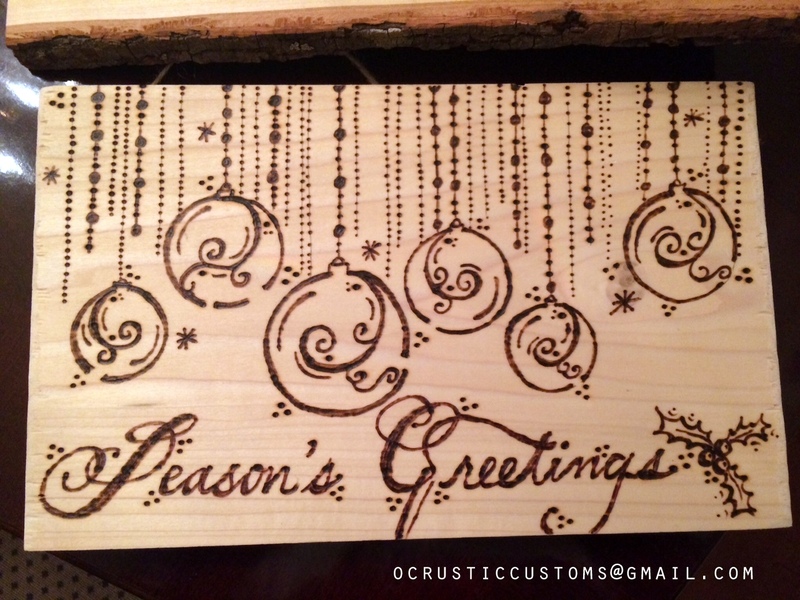 Custom orders will be accepted all day, contact ocrusticcustoms@gmail.com to set up an appointment to discuss your order/custom idea. 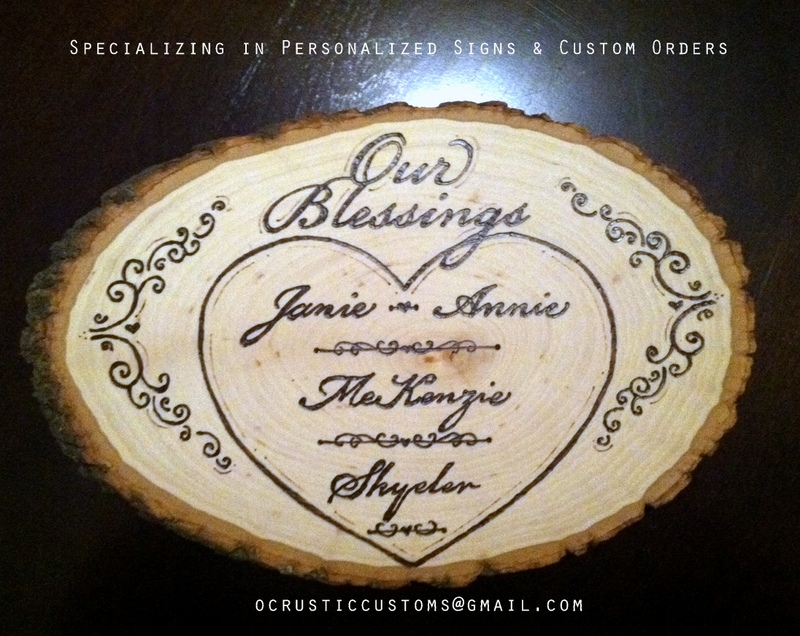 Custom order products include coasters, plaques and signs for the home or office, and personalized magnets. 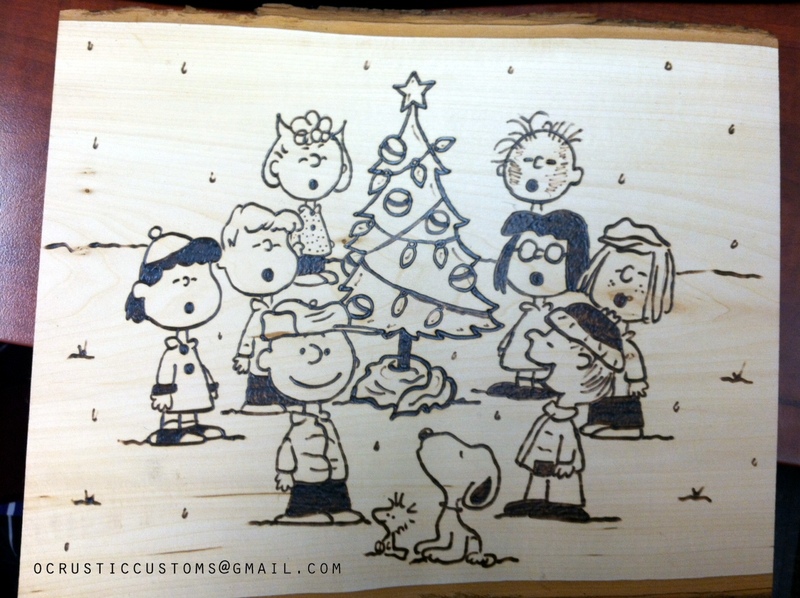 Take advantage of this amazing gift opportunity! 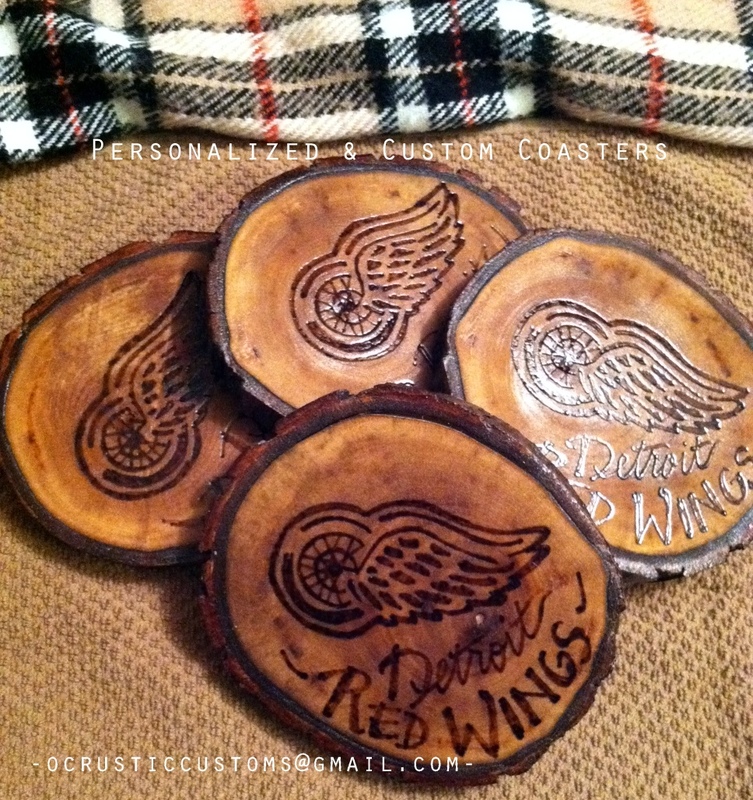 Ornaments, magnets, coasters, and small plaques are all hand cut and prepared from repurposed wood from this local artist. 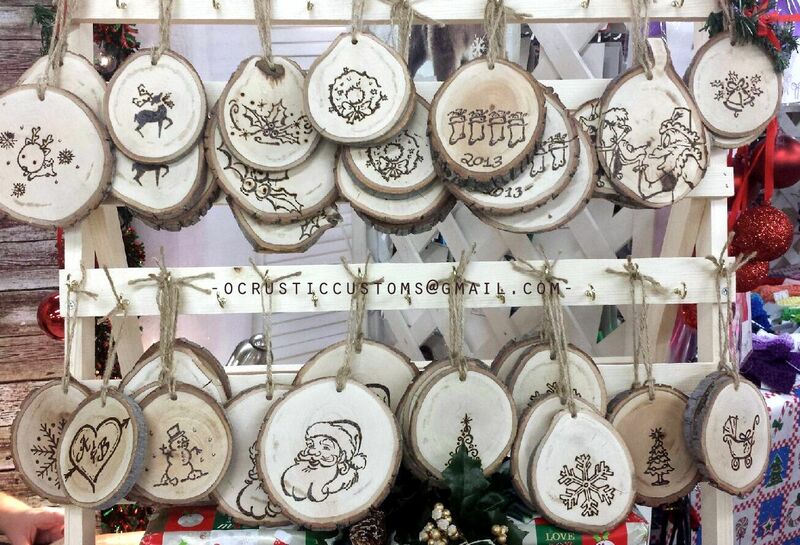 Come meet the girl behind these rustic creations – she will be here from 10:00am-4:00pm, wood-burning all day! 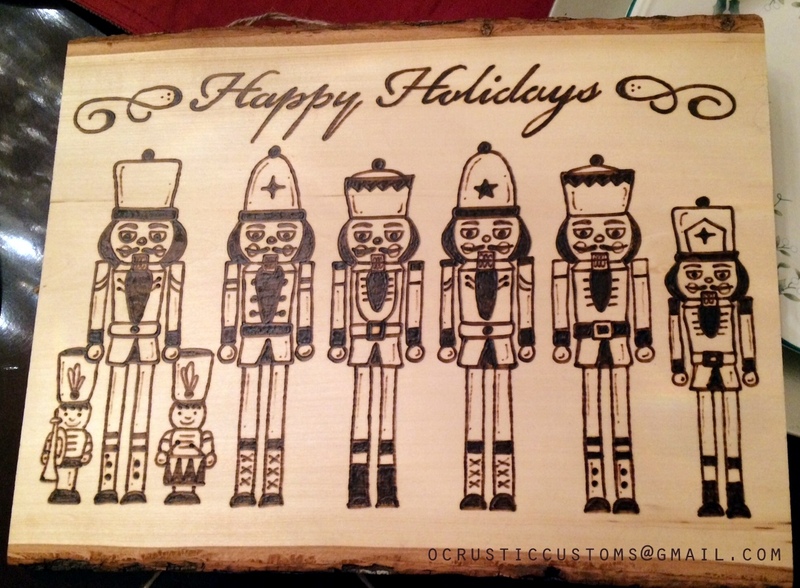 « Handmade for the Holidays!